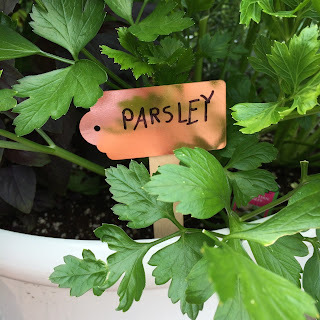 Every time we make a trip to Home Depot, the kids beg to pick up one more veggie to plant and I usually give them the go ahead because we're gardening, man! Getting our (gloved) hands dirty! Growing food! Making magic! And really, just feeding the deer, rabbits, and chipmunks, but more about that later. It's starting to look bushy out back, which means it's time to add garden markers so we can tell what's what in our batch of crops. 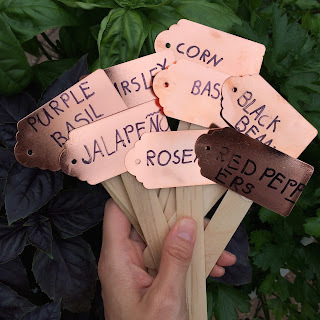 I picked up these metal tags from Target's $1 Spot and hot glued them to oversized craft sticks. I'm going to be honest - I wanted to write the names on the signs. However, I royally fought the urge, and let Vaughn do them all herself because I know how badly she wanted to do them. Let them dry and then stick them in! That's all it takes! It'll be fun to see how the copper changes with the weather. Great idea! I saw these tags at Target last week although we didn't have the copper ones. This is also a good reminder for me to go check our little herb garden out back ;) Happy Monday! A really cool idea. 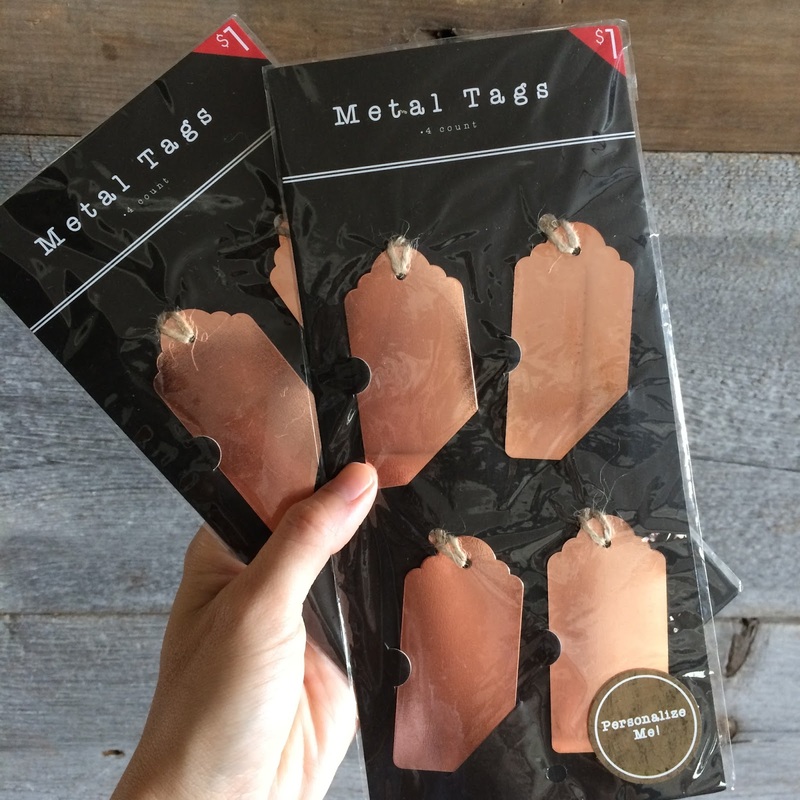 I'm not very crafty so perhaps there's a waterproof marking pen I'm unaware of, but I wondered "what happens to the writing on the copper tags if it rains?" Thanks! The regular Sharpie's we used are holding up perfectly and, boy! have they gone through some rain! The copper also looks the same, but I wouldn't mind if it did start to weather. 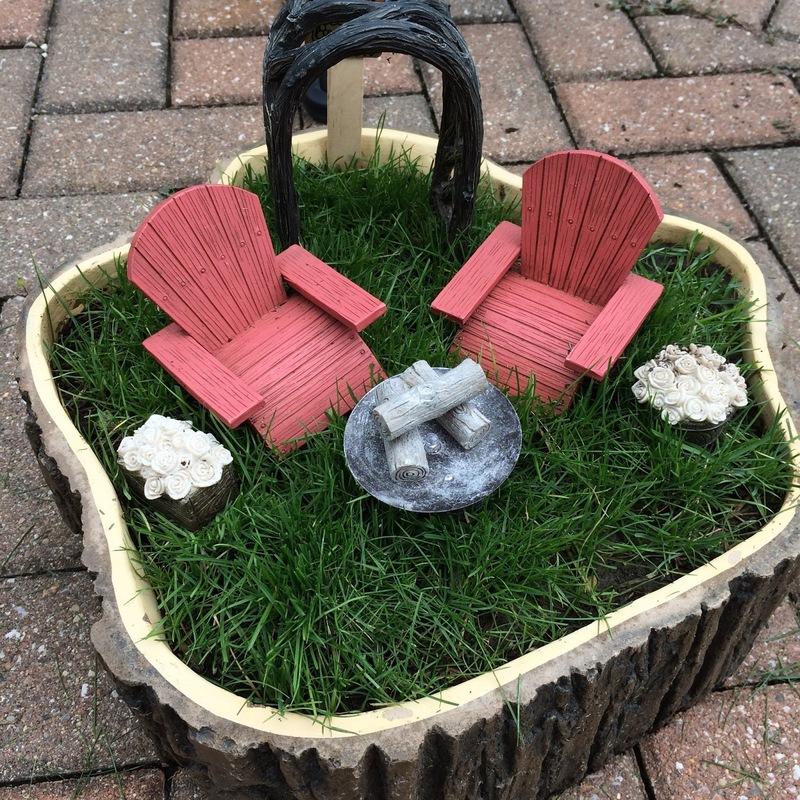 My intention for this $2 project is to last one summer and so far so good. Just give it a try!